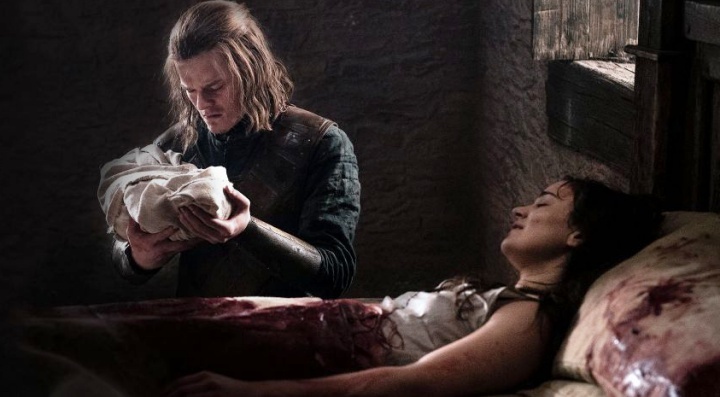 know that Snow’s father is Rhaegar Targaryen, whom we just learned had his previous marriage to Elia Martell annulled by the archmaester, and was properly wedded to Lyanna “in a secret ceremony at Dorne”. Could it be that we’re about to see that wedding take place? Here comes the ***Spoilerish Stuff*** — via Fansided, this is reportedly discerned from the hacked script outlines; I want to be straightforward about that, because some people may not want information from such a source. I have not personally read (nor do I wish to) any leaked script information; as this is merely cast-related (casting is often revealed in advance of airing), I don’t have a problem with discussing it. If you do, then back on out of the post now. 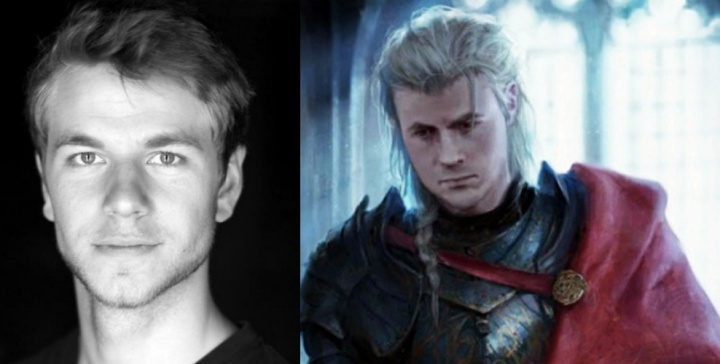 According to redditor, tyrantting, Welsh actor Wilf Scolding (Skins, Doctors, The Passing Bells) has been cast as Snow’s true father (and Daenerys’ brother), Rhaegar Targaryen. Lending credence to the casting is that a few months ago, a fan noticed that Scolding began following a few Game of Thrones-ers on Twitter, including Aisling Franciosi, the actress who played Lyanna Stark in flashback — and she followed him — Liam Cunningham, Gemma Whelan, and the official Game of Thrones account. Seriously, though, wouldn’t it be lovely to see that predawn wedding? And, this leads me to something I’ve been thinking about for a while now: will the show ever bring in Rhaegar’s son with Elia Martell, Ageon Targaryen — said to be (by Rhaegar, himself) the Prince who was Promised? During the Battle of the Trident, Rhaegar battled Robert and wounded him, but was ultimately defeated. Following Rhaegar’s death, Elia Martell and her children (fathered by Rhaegar), Aegon and Rhaenys were purportedly murdered by the Mountain (“You raped my sister! You murdered her! You killed her children!”) — and Amory Lorch — BUT, in A Dance with Dragons, Tyrion (whose book journey has been much changed for the series) discovers (and Varys discusses) that Varys had switched the infant Aegon with a peasant child, and smuggled the true Targaryen boy away to be raised by a friend of his father, Jon Connington, Lord of the Griffin Roost. Aegon’s hair is dyed blue and he’s dubbed “Young Griff”. As I mentioned, I’ve long wondered if Benioff and Weiss will ever incorporate Aegon Targaryen into the series; it would feel very strange to have the (possible) third dragon completely left out of the show, unless George R.R. Martin never had serious intentions for the character. It’ll be interesting to see whether the appearance of Rhaegar brings about an Aegon mention … and a Season 8 surprise.